Robert Giuffra is a partner in Sullivan & Cromwell’s Litigation Group. He joined the Firm in 1989, after serving as a law clerk to Chief Justice William Rehnquist of the U.S. Supreme Court and to Judge Ralph Winter of the U.S. Court of Appeals for the Second Circuit. He focuses on “bet-the-company,” securities, white-collar criminal, commercial, banking, insurance and tax litigation. He is a member of Sullivan & Cromwell’s Management Committee, with overall responsibility for the Firm’s Litigation practice, and is the head of the Securities Litigation practice. A fellow of the American College of Trial Lawyers, Mr. Giuffra is recognized as one of the leading litigators in the United States. The American Lawyer has selected him as “Litigator of the Week” six times since June 2011, most recently in January 2018, and named him “Transatlantic Disputes/Regulatory Lawyer of the Year” in 2017 and “Litigator of the Year” in January 2014. He has been named an “Energy and Environmental Trailblazer,” a “Winning Litigator” and a “Litigation Trailblazer” by The National Law Journal. Mr. Giuffra is a six-time Law360 MVP (2011, 2013, 2015, 2016, 2017, 2018). He is also listed as a National Star in Euromoney’s Benchmark: America's Leading Litigation Firms and Attorneys, was named a “Top 100 Trial Lawyer” in Benchmark Litigation’s most recent rankings and is listed among the top 30 litigation attorneys in the 2017 Best of the Best USA Expert Guide. For over 20 years Mr. Giuffra has represented prominent corporations and individuals in their most challenging civil and criminal cases, including at jury and bench trials, and on appeal in federal and state courts around the United States, before arbitration panels, and in investigations involving the SEC, the Department of Justice, U.S. and non-U.S. bank regulators, the U.S. Congress, the Internal Revenue Service, and the New York State Attorney General. He regularly advises senior executives and boards of directors in internal governance matters. Mr. Giuffra is currently National Coordinating Counsel for Volkswagen in connection with its recent diesel emissions issues. 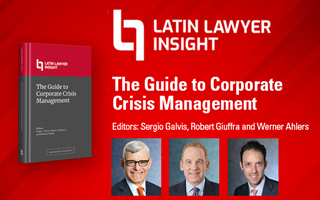 He has participated in litigations and government investigations arising out of the financial crisis, the bankruptcy of Enron, the accounting fraud at HealthSouth Corporation, and specialist trading on the New York Stock Exchange. He has represented many of the world’s leading financial institutions, including Bank of America, The Bank of New York, Citigroup, Goldman Sachs, ING, Morgan Stanley, Natixis, Société Générale and UBS. His corporate clients have included Biovail, CA, Cablevision, DISH Network, Enbridge, Exxon, Kinross, Kohl's, McKesson, Philips Electronics, Porsche, Tenaris, Tudor Investment Corporation, UnitedHealth Group, Volkswagen and Vornado Realty Trust. Other clients have included Société Nautique de Genève, the two-time defender of the America’s Cup sailing trophy, the New York Giants and Jets NFL teams, and a major university. His individual clients have included CEOs, lawyers and senior government officials. Mr. Giuffra has served in all three branches of the U.S. Government. 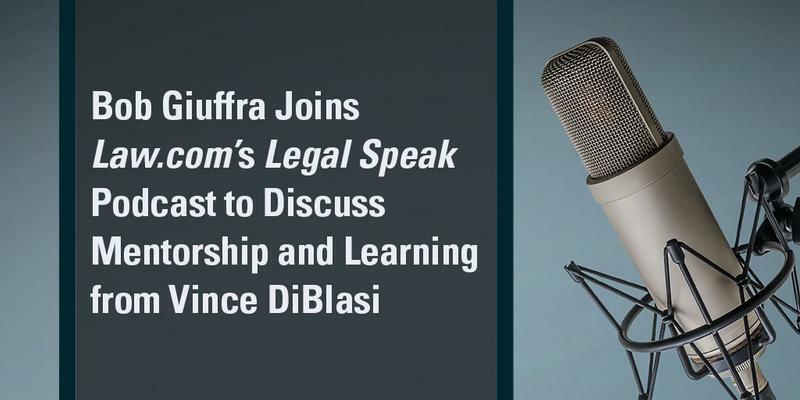 In addition to his federal judicial clerkships, Mr. Giuffra was the Chief Counsel of the U.S. Senate Committee on Banking, Housing and Urban Affairs from 1995 to 1996. He was a primary drafter of the Private Securities Litigation Reform Act of 1995. He also served in the White House. Mr. Giuffra has been a leader of the Bar. He served as President of The Federal Bar Council. In 2017, Chief Justice John Roberts appointed him to serve on the Standing Committee on Rules of Practice and Procedure of the U.S. Courts. He has served on the NYS-Federal Judicial Council, the New York State Commercial Division Advisory Council, the Magistrate Judge Selection Panel for the SDNY, the New York County Commercial Division Advisory Committee, the New York Commission on Attorney Discipline, New York’s Permanent Commission on Access to Justice, and the Board of Editors of New York Law Journal. He is also the Chairman of the Board of Advisors of the Yale Law School Center for the Study of Corporate Law, a Vice President of the Supreme Court Historical Society, a Director of the Alliance for Downtown New York and Downtown Lower Manhattan Association, a Trustee of the Citizens Budget Commission, Chairman of the American Swiss Foundation, an advisory board member at the John L. Weinberg Center for Corporate Governance at the University of Delaware and an advisory board member at the RAND Center for Catastrophic Risk Management and Compensation Advisory Board. He frequently speaks on securities class actions, government and internal investigations, and corporate governance, including at Yale Law School, Harvard Law School, Stanford Law School, Harvard Business School, the Wharton School and the University of Chicago Law School. He has testified before the U.S. Senate Judiciary Committee and participated in many hearings of the U.S. Senate Banking Committee. In October 2012, The Am Law Litigation Daily recognized Mr. Giuffra as its “Litigator of the Week” for obtaining the dismissal with prejudice of the putative securities class action brought against UBS and members of its supervisory board and senior management after UBS’s market capitalization declined by nearly $115 billion, following disclosures of UBS’s subprime and auction rate securities losses and its DOJ and SEC settlements relating to U.S. cross-border tax issues. Previously, Mr. Giuffra obtained the dismissal of all claims brought by all UBS shareholders who purchased shares on foreign exchanges, which eliminated more than 85% of the theoretical damages. In May 2014, the United States Court of Appeals for the Second Circuit affirmed these decisions. Mr. Giuffra also obtained the dismissal, affirmed on appeal, of a putative ERISA class action against UBS involving UBS’s subprime losses and cross-border tax issues. Represented Porsche in obtaining the 2010 dismissal of federal securities claims seeking more than $3 billion arising out of Porsche’s takeover bid for Volkswagen. In August 2014, the United States Court of Appeals for the Second Circuit affirmed this decision. In January 2013, The Am Law Litigation Daily named Mr. Giuffra as its “Litigator of the Week,” and The American Lawyer recognized him as its monthly “Litigator in the Spotlight” for obtaining the dismissal, on appeal, of parallel claims brought in New York State Court. The American Lawyer also honored S&C's work for Porsche as "Global Dispute of the Year: U.S. Litigation" in its Global Legal Awards (2013), and Benchmark Litigation awarded S&C the “Impact Case of the Year” (2016) for the decision. Lead counsel to global financial institutions, which obtained billions in settlements, in separate fraudulent conveyance and Article 78 actions in New York State court against MBIA Inc. and its subsidiaries challenging their 2009 multibillion-dollar restructuring. In June 2011, The Am Law Litigation Daily recognized Mr. Giuffra as its “Litigator of the Week” for winning the appeal in the New York State Court of Appeals sustaining the fraudulent conveyance action. Counsel to UBS in multiple Enron litigations: named The Am Law Litigation Daily “Litigator‎ of the Week” and a Law360 “Legal Lion” in March 2017 for obtaining the dismissal of securities actions against UBS seeking billions in damages arising out of the bankruptcy of Enron; obtained the dismissal of securities claims seeking ¥18.5 billion in alleged damages for an investment in Enron credit-linked notes; and secured the dismissal of NASD arbitrations brought by UBS customers involving Enron securities. Defended Enbridge in achieving a unanimous jury verdict after a five-week trial in 2014 in state court, in Dallas Texas. The jury rejected entirely Energy Transfer Partners’ claim, seeking more than $1 billion in damages, that Enbridge had tortiously interfered with a pipeline project. Represented DISH and EchoStar, in obtaining the dismissal, after a multi-week trial in 2014, of tortious interference claims seeking billions of dollars in damages in an adversary proceeding commenced in connection with LightSquared's Chapter 11 cases. Represented Goldman Sachs in successfully arguing to the U.S. Court of Appeals for the Second Circuit that the bank’s arbitration clause for managing directors should be enforced in a closely watched putative Title VII class action. Represented The New York State Bankers Association in persuading the U.S. District Court for the Southern District of New York to strike down New York City's Responsible Banking Act, which sought to impose a municipal bank regulatory regime, as preempted by federal and New York State banking laws. Counsel to the Audit Committee of Tenaris, a leading global manufacturer of steel pipe, in an internal investigation of Foreign Corrupt Practices Act issues. Then, represented Tenaris in resolving Department of Justice and SEC investigations, including in obtaining the first-ever deferred prosecution agreement in an SEC investigation. Represented UBS, the lead investment banker for HealthSouth, in lengthy government investigations and federal and state civil litigations. The government investigations resulted in no action against UBS. After obtaining the dismissal of certain claims, UBS settled the civil litigation for a fraction of the claimed damages. Counsel to the Audit Committee of the Board of Directors of Computer Associates in an internal investigation of accounting fraud and obstruction of justice by senior executives. Then, represented Computer Associates in resolving Department of Justice and SEC investigations, including negotiating a deferred prosecution agreement. Defended UnitedHealth in obtaining, and defending on appeal, dismissal of action on behalf of hedge funds seeking to accelerate $850 million of UnitedHealth’s notes. Represented Cablevision in successfully obtaining the dismissal of a putative securities class action claiming that Cablevision’s stalemate over retransmission fees with News Corp. caused a stock drop of nearly 50 percent. Represented UBS in obtaining a dismissal with prejudice of all claims brought by Ace Decade, which had sought damages of more than $500 million in connection with an investment in shares of a Chinese company. Secured the reversal of a NY trial court decision denying a motion by UBS to dismiss the CDO-related fraud claims brought by Aozora Bank as time-barred. The claims were the last of several private CDO/RMBS-related lawsuits that S&C handled for UBS, resulting in five outright dismissals and two highly favorable settlements. Represented CA in successfully arguing to the Delaware Supreme Court that a proposed shareholder bylaw requiring the mandatory reimbursement of proxy solicitation expenses of short slate candidates was invalid. In ruling in the first case ever certified by the SEC to the Delaware Supreme Court, the Court set forth important guidance on the permissible scope of shareholder bylaw proposals. Counsel for Oxford Health Plans in obtaining the dismissal of an action by the State of Connecticut alleging ERISA violations by Oxford and seven other managed care organizations; in government investigations and related securities class action and derivative litigation arising out of the 1997 collapse of Oxford’s stock price; in the successful arbitration of a claim seeking rescission of a multimillion-dollar reinsurance contract; and in obtaining the dismissal of putative multi-state class actions by Oxford customers and medical providers challenging various Oxford business practices. Counsel to leading banking associations in obtaining favorable rulings from the U.S. Supreme Court barring “scheme” liability under Section 10(b) of the Securities Exchange Act (Stoneridge) and limiting the power of the states to regulate the operating subsidiaries of national banks (Watters). Counsel to The Clearing House Association in prominent litigation over the disclosure of confidential bank data concerning Federal Reserve Discount Window lending during the recent financial crisis. Following lengthy trial, obtained judgment for Philips Electronics in Lanham Act action brought by Gillette over advertising for electric razors. Represented The Bank of New York in litigation, which settled for a fraction of claimed damages, seeking over $350 million for the alleged breach of a multimillion-dollar merger agreement with Northeast Bancorp. Counsel to Lewis Ranieri, a pioneer in mortgage finance and former Vice Chairman of Salomon Brothers, in obtaining dismissal, affirmed on appeal, of putative securities class actions arising out of the failure of Franklin Bank. Represented Steven Roth, Chairman and CEO of Vornado Realty Trust, at trial and on appeal, in obtaining the dismissal of federal securities claims. Counsel to lawyer Armand D’Amato, brother of then U.S. Senator Alfonse D’Amato, in obtaining the dismissal by the U.S. Court of Appeals for the Second Circuit of all federal criminal charges against him. Represented David Duncan, former lead Arthur Andersen engagement partner for Enron. Following reversal of Arthur Andersen’s conviction, the federal court granted a motion to vacate Mr. Duncan’s guilty plea. Represented E. Robert Wallach, counsel to former U.S. Attorney General Edwin Meese (Wedtech investigation), in connection with the reversal by the U.S. Court of Appeals for the Second Circuit of his federal criminal conviction and, after a jury failed to reach a verdict at his retrial, the subsequent dismissal of all charges against him. Defended Albert Pirro, husband of then-Westchester County, New York District Attorney Jeanine Pirro, in a federal criminal tax trial. Obtained pre-trial dismissal, affirmed on appeal, of a portion of the indictment. 1987, Yale Law School, J.D.